The Van Wylen Library staff was really busy this summer making a number of improvements to both the building and collections. Many of the changes were based on information gathered during student focus groups and faculty surveys. One of the biggest changes is a face lift to the 2nd floor of Van Wylen to create a more open design. The public computers were moved to create more workspace and so that two or three students can work together. 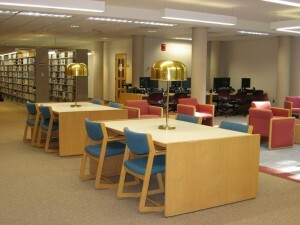 The video and DVD collection was moved to make more room for large study tables and casual seating on the 2nd floor. Many popular movies have been added to the collection. The microform for the ERIC collection and the New York Times were relocated to the basement since these collections are now available electronically. The library, CIT and the bookstore collaborated to introduce Copy Works, offering improved and convenient copy services to campus. The Media Services desk on the 2nd floor of Van Wylen will function as an arm of Copy Works, handling color copying and large format posters. Look for new lower prices on color copying. For your convenience several bookstore items will be available for purchase including CDs, DVDs, DV tapes, resume paper and more. To create more workspace for students, eight project rooms were created throughout the building and equipped with white boards and work tables. Four are equipped with network connections. The wireless access points were increased and upgraded to make wireless more reliable. 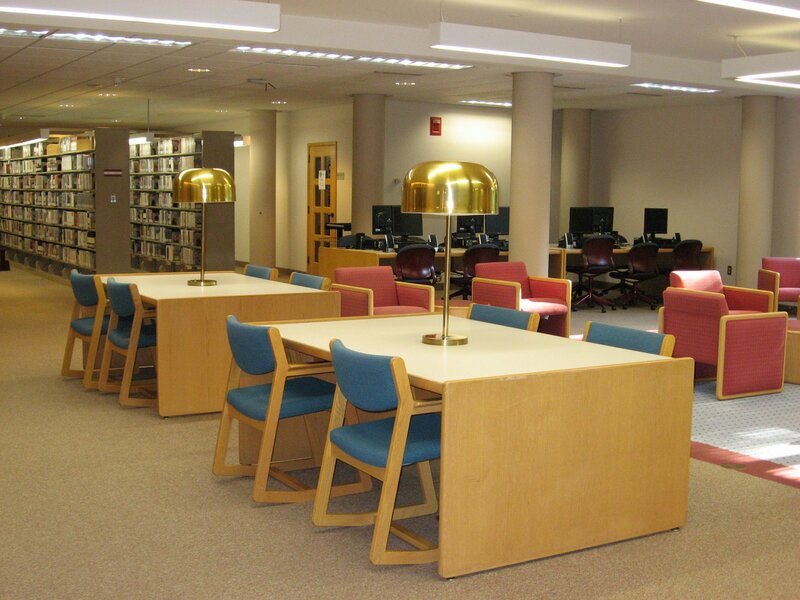 Users should now be able to get a reliable wireless connection from most locations throughout the library. On the 1st floor, the browsing collection was moved to make it more visible. The browsing collection now includes some popular music CDs. We will continue to improve our offerings of popular books, music and videos. Several new electronic products were added, including the highly coveted Web of Science,as well as two new music databases, DRAM and Naxos. Several students working at Van Wylen this summer collaborated to create a short video highlighting library services and the advantages of using the library for class assignments. You can view the video from the library’s website (requires QuickTime). Speaking of videos, we produced our first screencast, a brief tutorial on accessing databases from off-campus. Click here to watch this tutorial. An upgrade to the Library Catalog software was installed and users will see additional improvements in the interface this academic year. You may notice differences in how the catalog searches and displays your results. Keyword searches are now ranked by relevance. We would like to thank the Physical Plant and CIT staffs for all of their work that made these changes possible.